Part of the Celine range of stylish minimalistic tapware, this polished chrome shower makes a bold statement in any bathroom. Taking its design from Celine’s tubular inspiration, this model incorporates a stunning exposed shower valve with independent hot and cold taps for precise water mixing, each of which features the contemporary, streamlined tubular cross-headed style of the handle – a fresh interpretation of a classic shape. 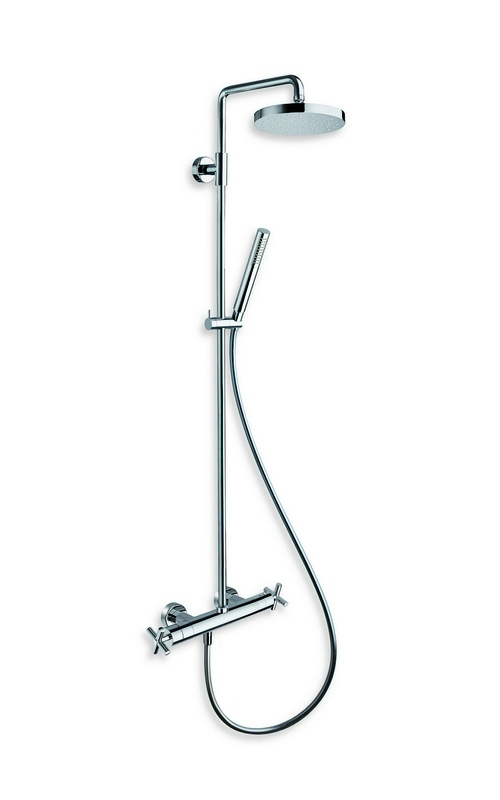 The smart clarity of the design is carried up the swivel column pipe and into the 190mm circular overhead shower. Understatement is the key with function cleverly combined into the elegant simplicity of form. The head delivers a rainfall type shower from multiple jets and includes an anti-lime feature. This shower also gives you the extra flexibility and function of a detachable hand-held shower unit with an adjustable-height slide rail. 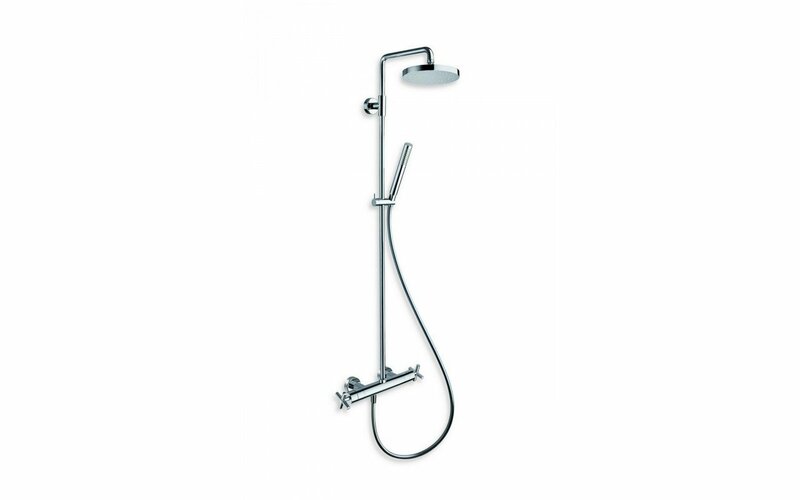 The slender long-life hose and understated tubular shower fitting are all seamlessly incorporated into this one harmonious and exemplary shower unit.